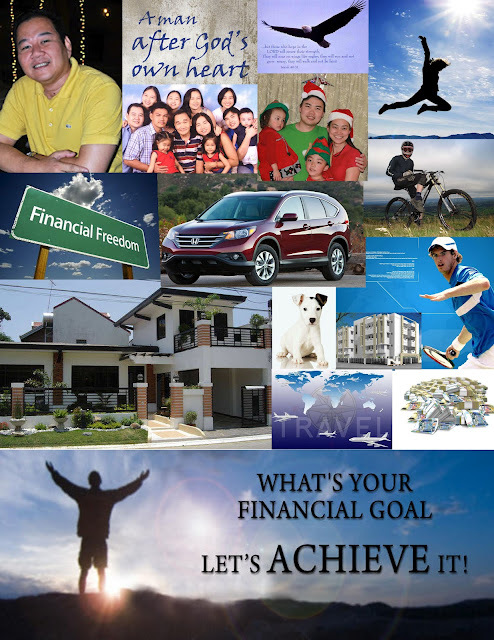 I just want to share with you my goal collage for 2012. Then Shattered Dreams would surely make and appearance. And It's Their Fault would regale us with stories (excuses) about how things had failed in his life, and each story would be loudly applauded by Don't Blame Me and I Couldn't Help It. Well, to make a long story short, I went to this depressing party knowing that there would be no real benefit in doing so. And, as usual, I became very depressed. But as I thought about all of the stories of failures brought back from the past, it occurred to me that all of this trip and subsequent "pity party" could be canceled by ME! I started to truly realize that I did not have to be there. I didn't have to be depressed. One thing kept going through my mind, I CAN'T CHANGE YESTERDAY, BUT I DO HAVE THE POWER TO MAKE TODAY A WONDERFUL DAY. I can be happy, joyous, fulfilled, encouraged, as well as encouraging. Knowing this, I left the City of Regret immediately and left no forwarding address. Am I sorry for mistakes I've made in the past? YES! But there is no physical way to undo them. So, if you're planning a trip back to the City of Regret, please cancel all your reservations now. Instead, take a trip to a place called, Starting Again. I liked it so much that I have now taken up permanent residence there. My neighbors, the I Forgive Myselfs and the New Starts are so very helpful. By the way, you don't have to carry around heavy baggage, because the load is lifted from your shoulders upon arrival. God bless you in finding this great town. If you can find it -- it's in your own heart -- please look me up. I live on I Can Do It Street. I recently attended a workshop called RCW1 (Reparenting the Child Within) conducted by Reintegration for Care and Wholeness Foundation, Inc. by the recommendation of Pastor Clem Guillermo. RCWFI was founded by Harriet H. Hormillosa, or Neh (short for Nene), an ex-nun and a graceful woman who hails from Silay City in Negros Occidental. Kuya Clem and Neh both claimed they have been friends from way back, and I can feel the faith and trust of both in each other. According to Neh, they were always referred to as the "odd couple" because one is a pastor and the other a nun. The only difference is one is married and the other, single. If you do not know Kuya Clem (as he is popularly called in his radio program "Heartline" on DZAS 702), he is a pastor and marriage counsellor. Kuya Clem has helped me twice in the past through his on-air counselling, the first was when I was 21 and the second was when I was 24. His advice helped me get back on the right track on both instances. I had a counselling session with Kuya Clem in his office on February 1, 2012 (I am now 45). I finally got to meet him in person through a friend who set my appointment with him. As I have stated above, one of his recommendations was that I go through the therapy of reparenting my inner child. Weeks before the workshop (which was scheduled February 17 to 19), I was feeling apprehensive because I did not know what I was getting myself into, plus having the fear that after exerting all effort, everything would stay the way they've been or get worse, like something that happened to me in the past. A friend told me to go through it and find out if it's effective or not rather than spending my whole life wondering and having the what ifs, so I decided to enroll, though half-heartedly. On the first day in the seminar room, I was made at ease because there is an agreement of confidentiality, and no one is to judge anyone. That is a place where I can feel safe, and everyone can be relied on to support me in my process. I knew right there and then that this was meant for me. During the introduction, Neh gave 30 seconds for anyone who would want to back out from the program with a full refund. During that 30 seconds, I thought that if I walked out of that room at that moment, I had no place to go because I was sure deep in my heart that this weekend was appointed for me. I was at the right place at the right time. 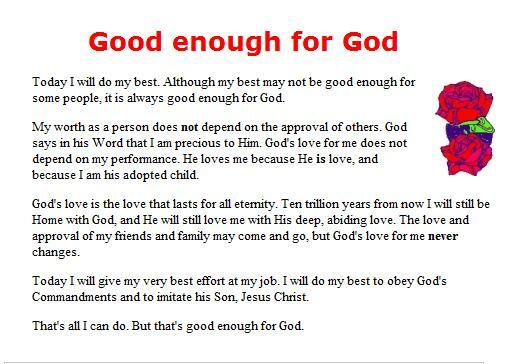 God appointed this for me. This is later confirmed because even my transportation was provided. A participant with a car lives near my place which is en route from his house to the workshop site, which is not an easy access for me if I were commuting. I am truly grateful to them and for them. You may be curious about what happened in my workshop. This is a quote from one of my posts, The Survivor, which I wrote on January 24, way before I knew of RCW's program. "kung mayroong time machine ay pupuntahan ko ang sarili ko noong ako ay teenager pa at kakaibiganin ko siya. Ipaparamdam ko sa kanya na naiintindihan ko siya. At hindi ko siya huhusgahan. At pwede niyang sabihin sa akin lahat ng gusto niyang sabihin. Ipaaalam ko sa kanya na meron siyang pwedeng sandalan sa oras ng kanyang pangangailangan. Meron siyang pwedeng kausap sa oras na kailangan niya ng kausap. Bibigyan ko siya ng sense of belonging. At tuturuan ko siyang mag-basketball. At sasabihin ko sa kanya kung ano ang pwedeng kurso para sa kanya." Every time I think about this, it gives me goosebumps, because this is exactly what happened to me, and more. I was able to connect with the infant me, the toddler me, the play age me, and the adolescent me. I was able to assure them that I will take care of them. They don't have to be afraid anymore. They don't have to hurt anymore. I understand them and what they are going through, and they can depend on me because I will be strong for them. I told them that despite what happened to them, everything will be ok. Everything will turn out fine. I will give them the love and the care they need. And that I love them and accept them as they are. My eyes were opened, and I begin to understand. I was able to endure my ordeal and stay sane as a battered son foremostly by the grace of God. And I held on because of my loved ones, my siblings. I used to say that I survived because I was strong. But during the end of the last activities, I realized that I became strong because of my friends. God has blessed me with friends who helped me be strong. In my journey, friends have come and gone, and I meet new friends along the way. Some may be for keeps and some may be just passing by, but each is a blessing and a gift from God.